haha! I always get a laugh when I tell people I'm looking at getting a cam. Then they try to correct me and say cams. When I build my motor I may end up getting a cam, but we shall see. seems to be a better selections (of regrinds of hard weld regrinds) for the nonvtec ones. 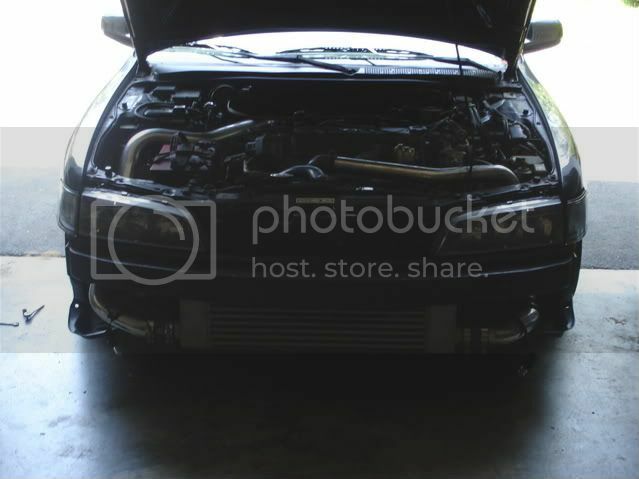 anything for vtec? If your just lookin for cheap and an alternative cam, a local place called delta cams re-welds your stock cam and grinds the lobes to your specs. You could make crower 404t size cams for 75$ lol. Im doing it for my ls-t just thought id mention it as an option. i wrecked some bearings in my a1 (bad oil, left assembly lube in too long, and lost oil pressure....burned up rod bearings on a 12 psi 3rd/4th pull). yes, iknow it was the oil because i changed the oil when i got home (hoping it wasnt rod knock, but it was) and my oil pressure was fine after that, even when hot, and the old oil was like water..
anyways, got a b2 bottom end to replace it, and it looks virtually the same, minus the timing light hole on the flywheel. hoping its a plenty strong bottom end, with not oddities. 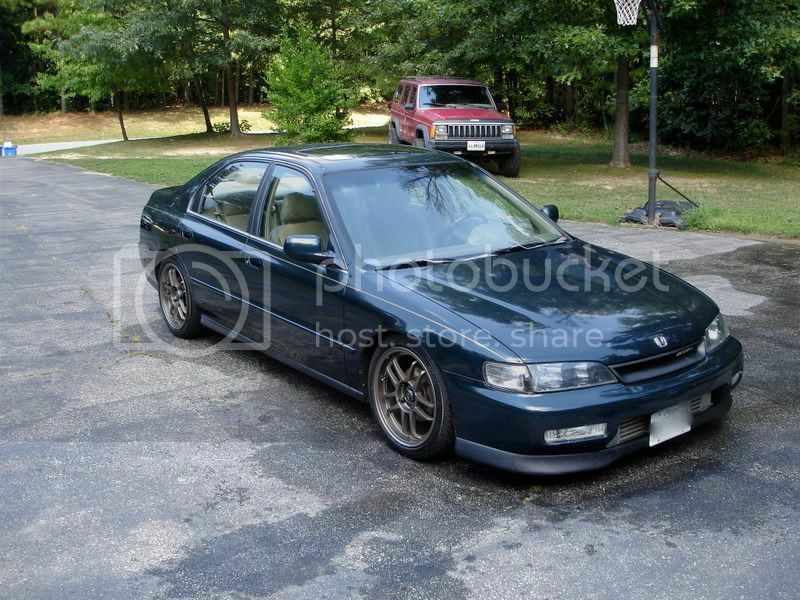 has 113k on it, and came from a wrecked front end accord. seems SOLID and clean, perfect crosshatching. oh, and a couple more pics...i love how it looks just like a d16! yeah, next to each other, they look identical. i'm going to cut the notch for the timing, and clean it, and thats it. Not a F22, but close. My F23 made 364hp/350ftlb tq. I remembered following that thread at the time... so I was hoping you did not mind me linking to it. 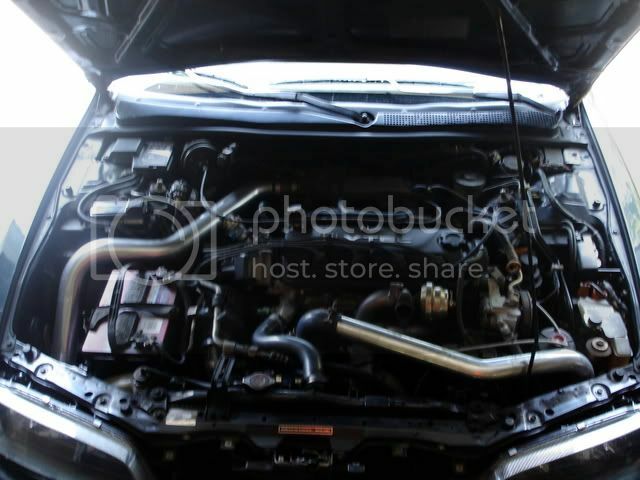 Man I can't wait to finally get my car tuned! Such a pain with trying to pass emissions and an obdII car. Post pics of the piping... its the only thing i havent figured out how to fab up yet.